An attempt is made in this paper to provide the community of health-related quality-of-life scholars with a hierarchical perspective of positive mental health guided by the concept of positive balance. Specifically, individuals with positive mental health are characterized to experience: (1) a preponderance of neurochemicals related to positive emotions (dopamine, serotonin, etc.) relative to neurochemicals related to negative emotions (cortisol), at a physiological level; (2) a preponderance of positive affect (happiness, joy, etc.) relative to negative affect (anger, sadness, etc. 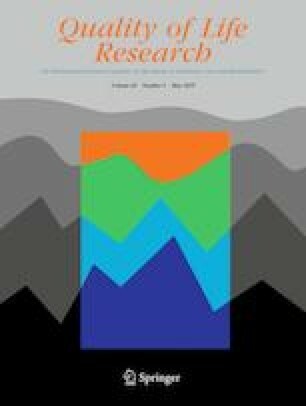 ), at an emotional level; (3) a preponderance of domain satisfaction (satisfaction in salient and multiple life domains such as family life and work life) relative to dissatisfaction in other life domains, at a cognitive level; (4) a preponderance of positive evaluations about one’s life using certain standards of comparison (satisfaction with one’s life compared to one’s past life, the life of family members, etc.) relative to negative evaluations about one’s life using similar or other standards of comparison, at a meta-cognitive level; (5) a preponderance of positive psychological traits (self-acceptance, personal growth, etc.) relative to negative psychological traits (pessimism, hopelessness, etc. ), at a development level; and (6) a preponderance of perceived social resources (social acceptance, social actualization, etc.) relative to perceived social constraints (social exclusion, ostracism, etc. ), at a social-ecological level. I would like to acknowledge the helpful comments and suggestions made by the journal’s editor-in-chief, Jan R. Boehnke, and two anonymous reviewers. I would also like to acknowledge the helpful comments and suggestions made by professors Antonella Delle Fave, Ingrid Bradar, Marie P. Wissing, and Mohsen Joshanloo on a very early draft of this paper. My utmost gratitude goes to Professor Dong-Jin Lee who has labored with me for many years conducting research on work–life balance from which the concept of positive balance first established roots. I also would like to express my thanks to professors Ed Diener, Robert Cummins, and Michael Frisch who have encouraged me to pursue this line of thinking several years ago. Finally, I would also like to acknowledge the helpful discussion I had with my wife, Pamela A. Jackson, a neuroscientist, about the same concept. Informed consent is not necessary given that this submission is strictly a conceptual piece. This study involved no human participants and/or animals.